Companies sell their merchandise through the eCommerce portals in a digitized world. These portals have to be updated every few hours, whenever a new product is available. It requires speed, technological knowhow and professionalism to maintain a well-organized eCommerce portal. In these cases, most of the companies outsource ecommerce product adding services to third party professionals. These firms are specialized in product adding services, and can reduce your hassles to zero. In the competitive marketplace, every company looks forward to pip its competitor. Therefore, it is essential to have seasoned professionals at the desk while dealing with product adding services. You may hire a professional team of experts to do the task. In the process, you will have to deprive your own business of the valuable time you spend monitoring their tasks. Additionally, the financial costs of maintaining an in-house team of experts are quite high. Simply outsource ecommerce product adding services to a reputed firm in India and escape from the troubles. You will get the websites updated with the desired information from time to time. Why is ecommerce product adding services important? With the entry of products into the electronic framework, every company calls for expertise in adding products. It is a complex task, and involves indexing, cataloguing and organizing the products. You need to be technically advanced in order to live up to the competition. Companies also look out for able manpower to tackle these tasks. 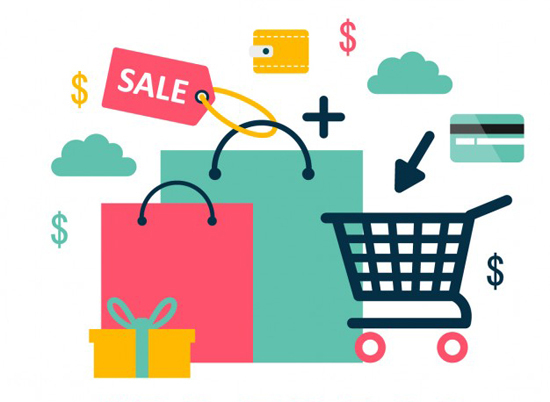 When you outsource ecommerce product adding services to the experts, you can concentrate on your business, while the experts take care of the product adding services. You simply have to convey your recommendations to the professionals. The seasoned experts adhere to the guidelines provided by the clients. In the process, you can get the services personalized. For instance, you may prefer a particular font while writing the captions, while the product descriptions need to be written in a different font. The indexing and cataloguing also need to be done according to your specifications. The professionals dealing with product adding services respect all these guidelines, customizing the services for you. Images are also added to the eCommerce portals along with the product descriptions. It is crucial to enter the right product in the right page. The global companies opt for the service providers in India when they outsource product adding services. During sales and festive seasons, the products in the portals get sold out faster than usual. In these cases, the agility of the professionals matters a lot. Outsource the services to a reputed firm with an impressive track record. What are the advantages when you outsource the ecommerce product adding services? Timeliness is the first and most important aspect that all companies look out for. When you have similar companies competing with you, you would like to keep the portals updated with the latest products. ‘Being available’ to the customers at the time of need adds credibility your company. Delays in adding the products invite customer discomfiture. Moreover, you lose out in the competition, besides making economic losses. Count on a reputed firm when you outsource the business, so that your portal remains updated with the desired information all the time. The offshore companies also charge much less when you approach them for the services. You can get quality work at a much cheaper rate. However, the companies never compromise with the quality of the services. Each website may have a number of products to be added to the respective pages. Choose the right company, so that you get the best benefits in terms of quality, timely update of the portals and affordable services. You will enjoy a better business ecosystem with organized infrastructure.